Sony has updated its compact camera Cyber-shot range with the W180. Although, for a change, the camera series doesn't actually boast any world firsts, it does pack in enough features to make it a more-than capable compact cam. Megapixel-size for the W180 has been set at a not-too-shabby 10.1MP. This is backed by an ISO of up to 3200 and an optical zoom range of 3x. There's also a 17x Smart Zoom but as this is digital, it probably won't be that smart – digital zooming is renowned for adding blockiness and pixelation to your images. For those who don't want much manual control, there are seven scene modes to choose from. Face detection and a smile shutter round up what is a modest amount of features. 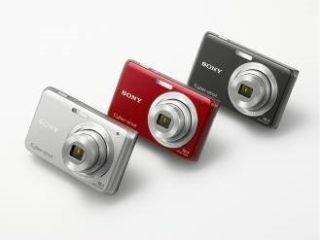 The Sony Cyber-shot W180 will hit shops in July and comes in either silver, black and red. Price is still to be announced, but keep checking sonystyle.co.uk for more details.